I played this course 10th April with my son as a treat for his 21st birthday. From the moment we arrived the staff were just fantastic. From the starter to the catering staff they all wished my son a Happy Birthday. Clearly Maureen who had helped me book the tee-time had passed on the reason for our trip. Nice touch. The course was just superb. Glorious sunshine, great golfing experience and unmatched service. When you go to St Andrews I would highly recommend you travel the 5-6 miles out to Kingsbarns. You won’t be disappointed. It’s pure class. I have played every open venue in Scotland with the exception of Muirfield. This course is my favourite by a long, long way. Service from staff, club facilities, practice facilities, half-way house, golf course. I just can’t fault the place. Have played many great golf courses but this was outstanding, great layout and great condition and from the minute we arrived to the minute we left we were treated like royalty. Most Beautiful course I’ve ever played!!! My foursome thought it was breath-taking!!!! Must play if you are ever in St. Andrews. I very rarely bring my camera along with me when golfing but this course was consistently ranked as one of the most scenic courses in Scotland. Not only were the views fantastic, so was the course! I highly recommend booking a caddie in advance. We found that their advice and knowledge of the course greatly enhanced our enjoyment of the round. My hubby & daughter played here and were raving about the stunning views, relaxed atmosphere & friendly staff. The half-way house was closed due to it being winter, however when they were near the club house they were greeted with hot chocolate and a snack – such a lovely touch & what makes this place special. They loved it so much they played it twice during our short stay. I believe that if Kingsbarns was a bit further away from St Andrews that it would host more Tournaments and Championships. This was our favourite course that we played after 10 days in Scotland. From the setup, the facilities, the course condition, the caddies and the quality of the food at the 19th – everything top notch. Kingsbarns, in my opinion, is the best golf course in this entire area of Scotland. 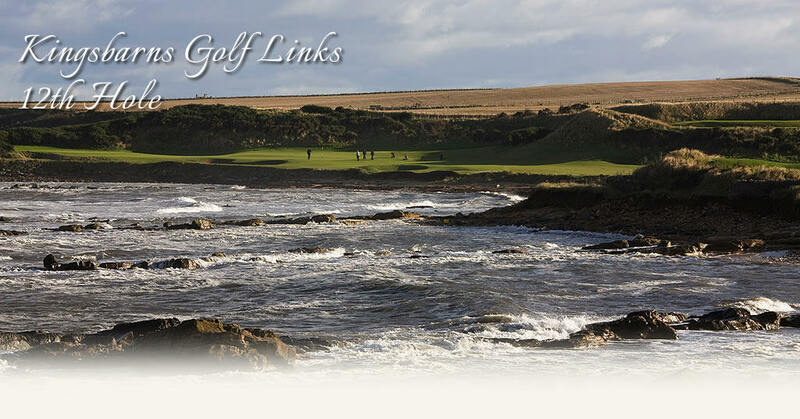 Sure you have the history of St. Andrews and you can’t discount that – but if you strictly judge overall quality, play, views, service, etc…..Kingsbarns is the best! The views on course and from the quaint clubhouse are spectacular overlooking the ocean. The golf course and caddies are top of the line and the staff is very accommodating. When I come back to Scotland this will be the FIRST place we book to play golf. Travelled with a group of 12 and played Turnberry, Royal Troon, Carnoustie, The Castle Course and Kingsbarns which was by far my favourite. I think the group would agree. The course is very scenic and was in great shape. The caddies while younger than most we had at other courses were excellent. Mine in particular was the best greens reader I have ever seen. While a very young course by Scotland’s standards (only about 20 years old) it is quickly becoming a favourite of many and will actually be hosting the Women’s British Open in a year or so. Highly recommend. We LOVED the course, and the staff in the clubhouse were wonderful! Kingsbarns was the most enjoyable golf experience of our 8 rounds in Scotland this past summer.